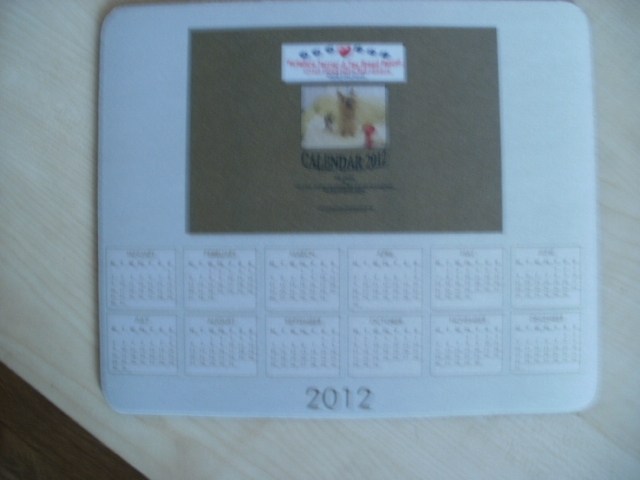 We have 6 Rescue Mouse Mats that have the 2012 calendar on it. If anyone wants one here is what they look like. How do I order one please! you can order it by paypal or use a credit card also through paypal, but make sure that you send it as a gift or we incur charges. We can also send you our bank details for a direct transfer or send a cheque. They look better in the flesh so to speak. Yes please I would like one, got to get my coat off will pay shortly for 1 mouse mat. 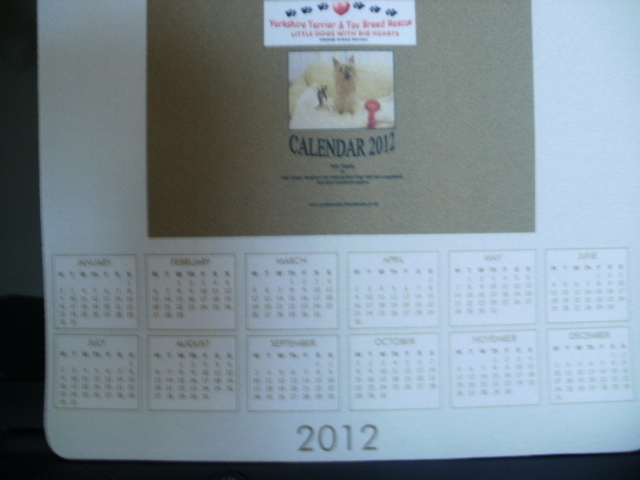 rosalie wrote: Yes please I would like one, got to get my coat off will pay shortly for 1 mouse mat. 1 mouse mat sent as gift. Will send it out tomorrow hun. I dont understand how to do it...am I being dense? If you have a paypal account I find it best to go to my account and send money to the rescues email, Put the amount in the box and then go to personal and gift will be seen, after you have signed in and money has gone you will see transaction, click on that and the ID number comes up to copy and put on the forum reply box OR send a cheque or transfer the amount into the rescue account. Which can be given to you by admin. I have received the yorkie mouse mat and Kacey's coat thanks today.